Sometimes the default field types within Webform don't work as we want them to or we want to do something beyond which will work beyond a few hacks in the theme. The following will show you what is required to define a new field type and the necessary functions to make it work. The following tutorial will show you how to create a contact form (or any form for that matter) using the Webform module in Drupal 7. 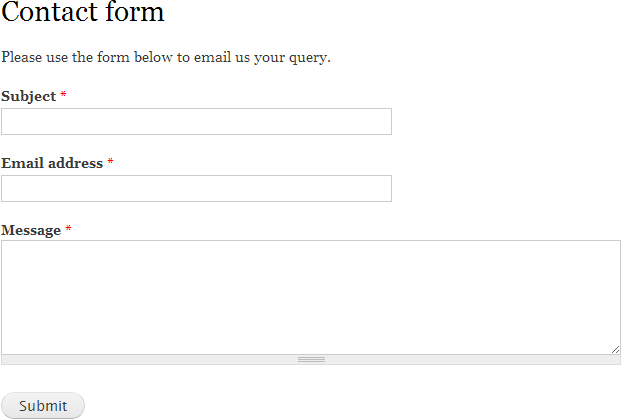 Download and enable the Webform module in the Modules interface. This tutorial will be using version 3.18. The recent update to Google Chrome dev (Version 23.0.1262.0 dev-m) has brought rulers to the window when using the Inspect Element feature which is becoming increasingly better with each release. Firebug usage from me has significantly dropped. It took a while to figure out with all information I could easily find relating to the Rules module using the UI to define rules. But you can define some default rules within your module by using the function MODULE_NAME_default_rules_configuration() which sits within a file called MODULE_NAME.rules_defaults.inc in your module folder. What are we looking to do? When you have an online store, by default a product has a set price which is what everyone pays. You may have discounts through voucher codes but occasionally you want to offer a different price to shoppers i.e. wholesalers. So what we will be doing is creating a new role called 'Wholesaler', adding a new price field to our product, then we will set up a rule which will calculate the right price for the wholesaler. The tutorial will be focused around a basic Drupal 7 install with the Commerce module (and the other relevant modules installed). 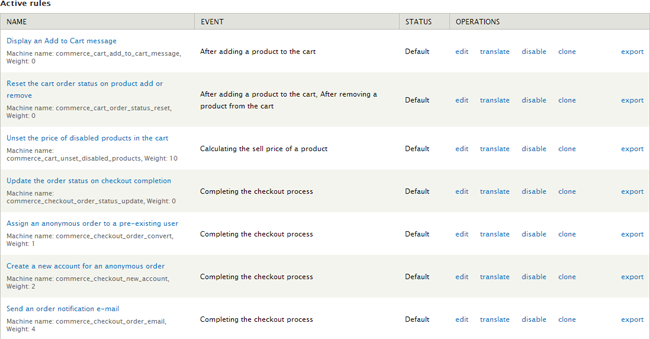 A rash of new Drupal 7 modules has made the process a lot easier though. Having just installed the Drupal 8 development version on to a local test site, it has raised a few thoughts. Of course a lot of these could be fixed or the majority may disagree but either way. We have a long time before Drupal 8 will be shipping and as such have a lot of time to sort out any problems. When attempting to install Drupal 7 on a server which has a few Drupal 6 installs running without a problem I got a white screen of death after selecting the profile I want to use. The problem turned out to be an issue with an APC configuration. 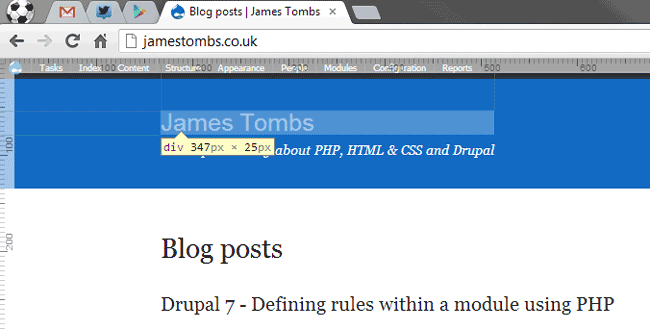 I have finally got around to upgrading the old site to Drupal 7. Site is very simple just using a basic view for the blog listing (which I could of just used the standard river of news, but it's nice to know that I can control it whenever I want). The upgrade process was very simple, there were a couple of issues with modules not working properly mainly due to PHP 5.3 errors but they were easy to overcome or I just got rid of the module as it wasn't really needed.